A holistic conceptual approach to groundwater and natural resources protection, surface and subsurface biodiversity conservation and ecosystem services in karst terrains is presented. Karst landscapes and aquifers consist of carbonate rock in which a part of the fractures has been enlarged by chemical dissolution. They are characterized by unique geomorphological and hydrogeological characteristics, such as rapid infiltration of rainwater, lack of surface waters, and turbulent flow in a network of fractures, conduits and caves. Karst terrains contain valuable but vulnerable resources, such as water, soil and vegetation, and they provide a great variety of habitats to many species, both at the surface and underground, including many rare and endemic species. Karst terrains deliver valuable ecosystem services and act as natural sinks for carbon dioxide (CO2) thus helping to mitigate climate change. It is demonstrated that all these resources and ecosystem services cannot be considered in an isolated way, but are intensely interconnected. Because of these complex feedback mechanisms, impacts on isolated elements of the karst ecosystem can have unexpected impacts on other elements or even on the entire ecosystem. Therefore, the protection of natural resources, biodiversity and ecosystem services in karst requires a holistic approach. Preliminary publication information: This paper was already published in 2012 in the (at that time) new journal AQUA mundi that was intended to be included in the Science Citation Index. Instead, the journal collapsed soon afterwards, and all published papers have disappeared without leaving a trace. However, it turned out that concepts and ideas from this paper were often cited. Therefore, several colleagues have encouraged me to republish this paper in a renowned journal. 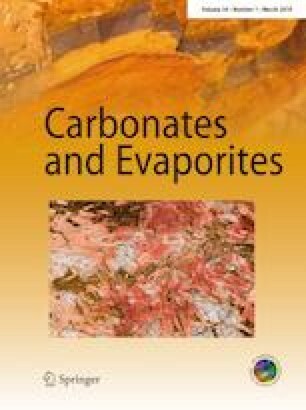 I am grateful to Jim LaMoreaux, Editor-in-Chief of Carbonates and Evaporites, for giving me this opportunity. This article belongs to a series of “Reviews in Karst Hydrogeology” promoted by the IAH Karst Commission (https://karst.iah.org) with the goal to collect and evaluate current knowledge in different fields of karst hydrogeology and make it available to the scientific community.